As the U.S. born Black Friday phenomenon draws ever closer, retailers in the UK brace themselves for the physical and online stampede of consumers looking to bag the ultimate bargains on 25 of November 2016, with some retailers potentially offering one-off discounts of up to 80 percent on some products. The American shopping tradition considered by many to be over 90 years old, unofficially began on the Friday after the modern Macy’s Thanksgiving Day Parade in 1924, has certainly burst its borders having established itself in the calendars of retailers and consumers across Europe. Although the Black Friday retail concept wasn’t popular when first introduced in the UK driven by U.S. retailers including Amazon and Walmart through it’s UK focused Asda business, the occasion has become a highly anticipated part of the consumer shopping experience with an almost tangible appetite that most retailers struggle to satisfy. 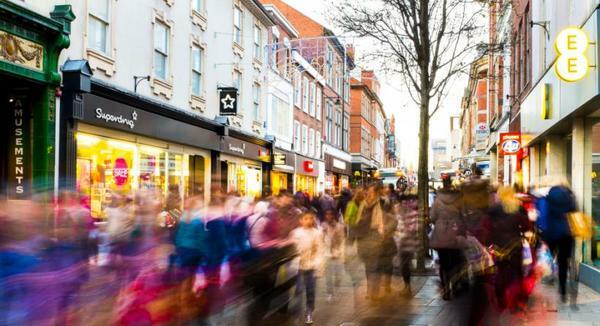 Experts believe that UK consumer spend on the Black Friday weekend 2016 will hit £5bn as a precursor to Christmas 2016 sales. This £5bn represents a 51.5% increase on the £3.3bn spent by UK shoppers over the same period in 2015, and approx. 240% increase on the estimated £1.47bn spent in 2014. The convenience mobile devices provide consumers coupled with the ability to compare prices and promotions then make purchases almost immediately from the comfort of their sofa will see online retailers emerge victorious in the battle against bricks and mortar retail stores for consumer spend. This being said, this victory will incur a brand damage cost for many e-tailers due to the lack of technological and operational resource to handle the inevitable consumer demand. Online retailer Amazon sold six million items on Black Friday 2015 making it their single busiest day ever, beating their 2014 record of 5.5 million items. The feat made even more impressive by delivering 0.5 second web page upload speed compared to competitors including Argos and Tesco whose web pages took at the lowest points took 10 and 8 seconds respectively compared to the acceptable industry page loading time of 2 seconds. Social media platforms provide retailers with the opportunity to keep consumers informed and updated on key events within the business or advise on how to ensure they have a better shopping experience through this very busy time. This could be from advising about any predicted delays due to website performance and stock levels to advising customers to sign up to their newsletters, follow their social media channels, bookmarking items they want early, setting up faster payment services such as 1-Click to speed up the purchase process or if orders cannot be fulfilled. With this in mind, retailers should approach Black Friday with a clear pricing game plan. This could be understanding historical black Friday pricing trends for product categories that may affect their business over this period. Although some online retailers may find it difficult to compete on heavy discount initiatives, their ability to sustain consistent competitor monitoring campaigns around product, pricing and stock availability provides opportunities to focus on areas that could be more beneficial for their online business. This could be monitoring their competitor availability on key products and take advantage should they run out of stock or identify specific product categories that are less heavily discounted by competitors, creating an opportunity to compete for business while minimizing impact on other promotional initiatives that have been deployed or still in the pipeline. masters of the retail industry, especially where Black Friday is concerned. Black Friday 2015 saw Amazon provide their customers with mobile only deals and an extended period of sales while allowing them to watch “deals of the day” or “lightning deals” deals and set up notifications for when the deal was live. Amazon Prime customers were rewarded for their loyalty with 30 minutes early notification ahead of other customers and same day delivery. Their partnership with Doodle provided customers with a click and collect service. To get the best prices and deals, increasingly savvy shoppers are engaging price monitoring software to maximize opportunities to get the best prices which in turn increases the necessity for retailers to implement their own price monitoring initiatives to ensure that they remain competitive during this landmark retail occasion. Unsurprisingly, Black Friday is an event driven largely by price and retailers must accept that ‘what they don’t know, can and most likely will hurt their business’ and this includes the level of visibility on competitor pricing for products they sell as well as competitor price comparison and competitor price monitoring around promotions and discounts.